Barcelona take on Huesca on Saturday, the Catalans now within touching distance of a second consecutive La Liga title after dismissing closest rivals Atletico Madrid last weekend. They defeated Manchester United 1-0 in the first leg of their Champions League quarter final clash on Wednesday, the scoreline failing to reflect the visitors’ dominance on proceedings at Old Trafford. That result followed the 2-0 victory over Los Rojiblancos, when Lionel Messi and Luis Suarez grabbed late goals to send their side 11 points clear at the top of the table. Huesca are stranded in 20th position and have not won in five games, though they earned potentially vital draws against fellow strugglers Levante and Celta Vigo in their previous two fixtures. Here’s the team Ernesto Valverde could field to face the relegation battlers. Marc-André ter Stegen (GK) – The German has been excellent between the posts this season, fighting off the challenge of Jasper Cillessen, and will feature again on Saturday. 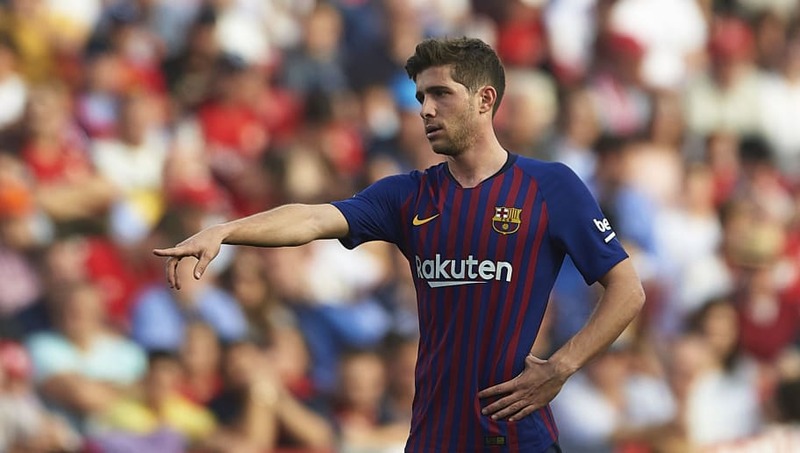 Sergi Roberto (RB) – Having progressed through the Barcelona ranks as a midfielder, Roberto has demonstrated his adaptability by becoming the side’s regular right back. Clément Lenglet (CB) – The Frenchman has forged a solid partnership with Gerard Pique in the heart of Barça’s defence, dominating opposition forwards. The former Spain international is unavailable to play against Huesca due to suspension, though Lenglet should ensure things remain tight at the back. Samuel Umtiti (CB) – Pique’s absence affords Umtiti the opportunity to prove his value having been ousted from the starting lineup this campaign. His athleticism and reading of the game will be useful in keeping Huesca well away from ter Stegen’s goal. Jordi Alba (LB) – The rapid left back has had the position on lockdown since his arrival from Valencia seven years ago. At Camp Nou he has flourished into one of La Liga’s prime attack-minded defenders. 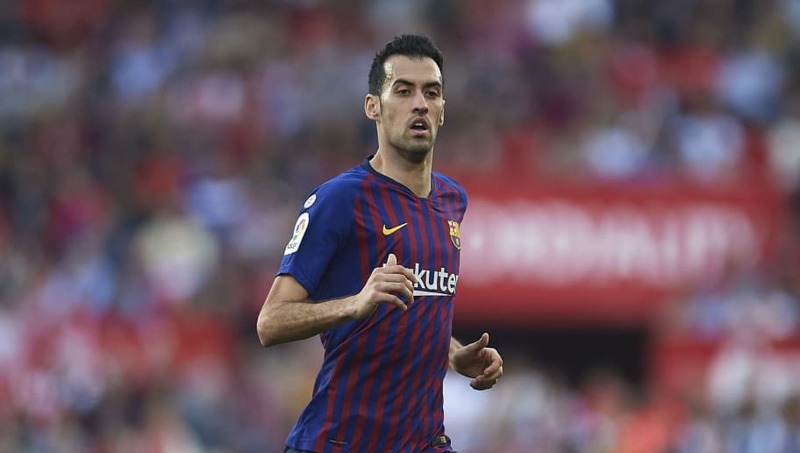 Sergio Busquets (CM) – The 30-year-old learned from the best, the masterful duo of Xavi and Andres Iniesta moulding him into a marvellous distributor at the base of the Catalans’ midfield. Arthur (CM) – The Brazilian has performed admirably in his debut season with the Champions League quarter finalists, winning Valverde’s favour with a string of fine displays in blue and red. Arturo Vidal (CM) – The fiery Chilean has found himself sitting on the bench for much of this year, but is likely to start on Saturday. Barcelona’s return leg against United comes just three days after the contest at Estadio El Alcoraz, meaning first choice stars like Ivan Rakitic may require a rest this weekend. Ousmane Dembélé (RW) – At Borussia Dortmund, Dembele was a raw talent with huge potential. Since switching to Catalonia for £135m he has honed his skills, terrifying opposition defences with his dazzling dribbling abilities. Malcom (ST) – Suarez’s suspension and the rest Valverde is expected to give Messi should see out of favour Malcom given rare minutes on the pitch. His tally of four goals in 18 appearances this campaign is a sub-par return for a player spearheading a rampant Barça frontline. 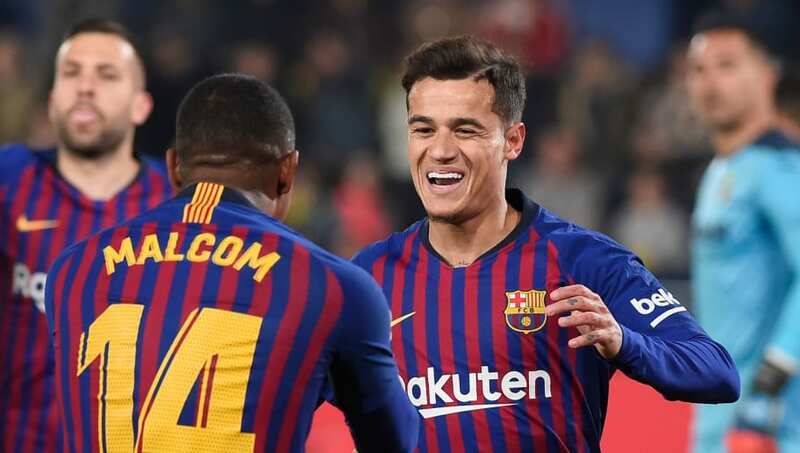 Philippe Coutinho (LW) – The former Liverpool playmaker is rumoured to be moving towards the exit door at the Nou Camp, with a Premier League return seemingly on the cards. Wherever he ends up next season, he is certain to electrify and enthral supporters with his mercurial talent.